Oval shaped karabiners are one of the most popular shaped karabiner amongst arborists. As the oval karabiner is more symmetrical than the HMS shape (while still retaining the longer back from strength) it distributes the load which aids the alignment of the climbing system. The THK002 from Treehog has an excellent strength to weight ratio weighing in at 81g and is finished with a smooth anodised coating. With a triple locking gate this oval karabiner is safe, yet easy to operate & will not snap ropes due to the key-lock nose pattern. The spine on the THK002 is longer rather than thick & can be easily rotated through the hole of most friction devices currently in use today. 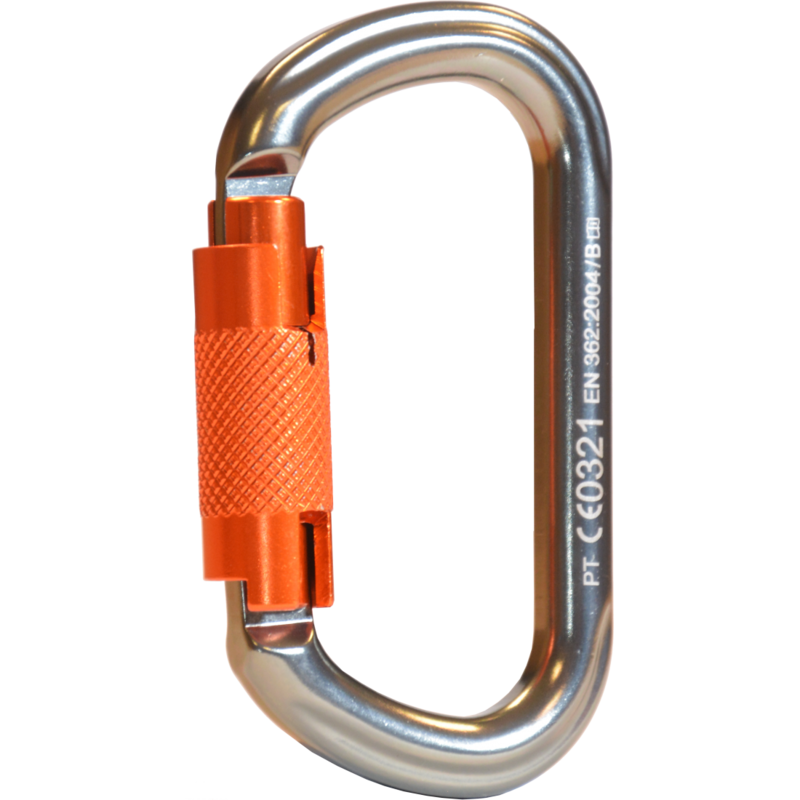 As with most Treehog’s range of tree climbing equipment, these karabiners are individually serialised to help with the necessary tracking/inspections.